Essentia Analytics one of nine exciting B2B scale-ups chosen to participate in PWC’s first Series A Accelerator program. 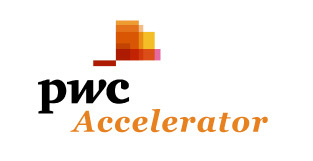 London, April 20th 2018 – Essentia Analytics, the ground-breaking provider of behavioral analytics and nudges for professional investors, has been selected for PWC’s Raise Accelerator program for B2B scale-up businesses. Developed and executed in collaboration with The Accelerator Network and White Horse Capital, the 8-week accelerator program is designed to help revenue-generating businesses to secure their first round of institutional investment. The accelerator is part of PwC’s new Raise proposition, designed to help small and medium-sized enterprises (SMEs) become investor-ready. The Series A service is geared towards companies with, or heading towards, a £1 million-plus annualised turnover and hoping to secure £1m-£10m in funding. Benefits for participants include a series of expert-led masterclasses prior to a key investor pitch event with 80+ venture capital firms and family offices. Essentia Analytics is at the nexus of Behavioral Finance and Data Science, providing professional investors with an enhanced understanding of their own behavior so that they can consistently play to their strengths, and avoid acting on cognitive bias. Developed by leading neuroscientists, software engineers and ex-fund managers, Essentia’s analytics and consultancy services enable fund managers to capture richer data about both their own behavior and its context, turning trade, market and biometric data into better future investment decisions. The result is a simple, accurate, continuous feedback loop – the same sort that professional athletes use to achieve excellence. Appropriate for active equity managers, hedge funds and multi-manager platforms, high and low turnover portfolios, the software has already been adopted by several of the world’s leading investment managers. Essentia Analytics, which is headquartered in London, was founded in 2013 by former fund manager Clare Flynn Levy. The software was launched in March 2014.